TSPSC VRO Hall Ticket 2018 – Telangana State Public Service Commission (TSPSC) released VRO 2018 admit card on 10 Sep 2018. As per the information brochure, the hall ticket was to be available 7 days before the exam date, which is September 09. However, the admit card was released on 10th Sep 2018. TSPSC issues Village Revenue Office hall ticket 2018 online, at tspsc.gov.in. Candidate should carry their admit card on the day of the examination. A candidate who will not carry their admit card will not be allowed to appear in the examination. The hall ticket of TSPSC VRO 2018 is an important document which should be saved until the end of the recruitment process. Candidates can check complete details on TSPSC VRO Hall Ticket 2018 from this page. The total Number of Vacancy to the post of Village Revenue Officer in the Revenue Department in the state of Telangana is 700. Admit Card is the key to enter in the examination hall. The commission can possess the right to conduct the Examination either Computer Based Recruitment Test (CBRT) or Offline OMR based Examination. For more information regarding VRO Hall Ticket 2018 candidate can see the schedule given below. TSPSC has released VRO hall tickets and a direct link to download is provided below. You need to enter your TSPSC ID and Date of Birth in order to download the admit card. Admit Card: To download TSPSC VRO Hall Ticket 2018 visit – Link 1 | Link 2. 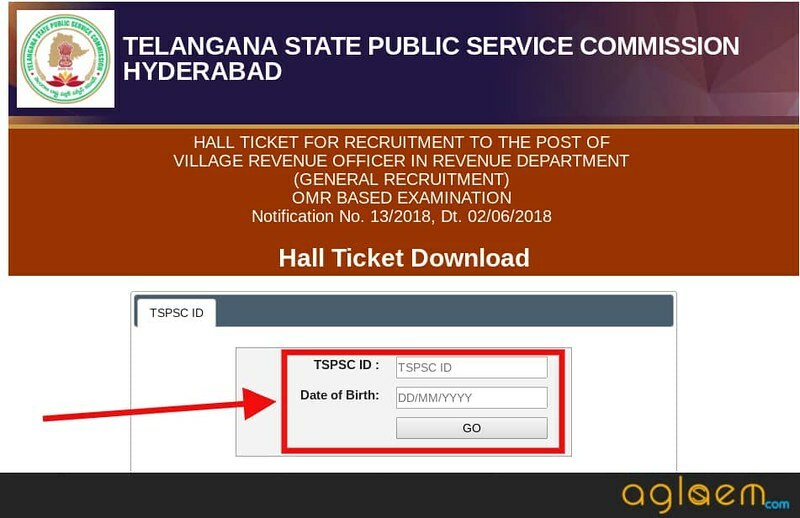 How To Download TSPSC VRO Hall Ticket 2018? Candidate can follow the given below steps for downloading the TSPSC VRO Hall Ticket 2018. Click the link that is available on this page soon. The login page will appear on the screen, Now candidates have to enter the TSPSC Id and Date of Birth for downloading the admit card. After entering the details hit the Enter button. 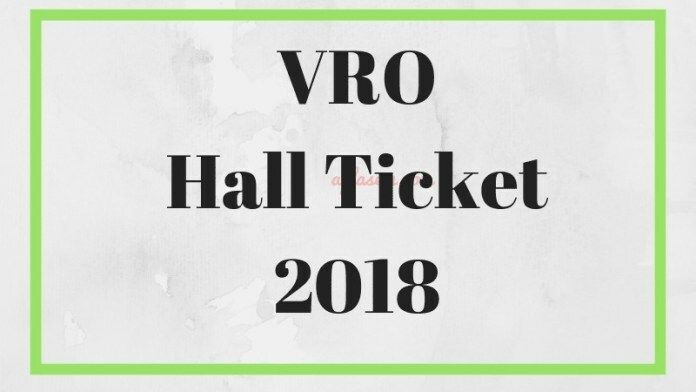 VRO Hall Ticket 2018 page will open. Thereafter, Hall Ticket will get downloaded. Take a print out of the Hall Ticket/Call Letter. After downloading the hall ticket the candidate should check it whether all the details are correct or not. For doing this they can use the documents which they used while filling the application form. For candidate’s comfort, we are providing the list particulars which will be printed on the admit card. On the TSPSC VRO Hall Ticket 2018 candidates can see the following details. The authority has selected 10 districts of Telangana for exam conduction. Candidate can see the Examination Center List for TSPSC VRO Exam 2018 from below. For each candidate, it is important to go through the examination pattern as this help the candidate to know about the exam details like Question Types, Mode, Total Marks etc. Candidate can see the Exam Pattern details from below. Marking Criteria: 1 marks will be awarded for each correct answer. If the candidate has founded not following the rule and regulation in the examination hall then that candidate will not be allowed to appear in the examination. Candidates should follow the below-given instruction on the day of the TSPSC VRO Examination 2018.